Summary: Recent data on the effectiveness of catheter ablation for treatment of persistent atrial fibrillation suggests that patients considering catheter ablation still need to set realistic expectations for success as multiple procedures may be required. At the recent 2011 Heart Rhythm Society meeting in San Francisco, Dr. Thomas Rostock of Hamburg, Germany, reviewed catheter ablation data from several large studies involving patients with persistent atrial fibrillation and presented his own data. 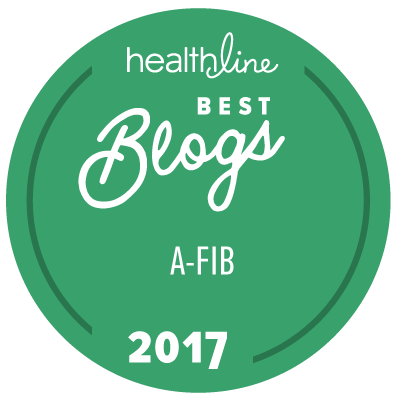 From other studies, he calculated an average catheter ablation success rate (freedom from atrial fibrillation) of 58% for patients with persistent afib during an average follow-up period of 14 months. Most patients had more than one procedure, and some remained on antiarrhythmic drugs. At Dr. Rostock’s center, 395 patients (261 with persistent afib and 134 with longstanding persistent afib) had stepwise catheter ablations. Stepwise ablation is an advanced technique that begins with pulmonary vein isolation. Doctors then use mapping catheters to determine whether there is still afib activity. If so, more ablation is performed until atrial fibrillation terminates. In 34% of the patients in Dr. Rostock’s study, afib termination could not be achieved during the procedure, so these patients had external electrical cardioversion to put them into normal sinus rhythm. Other advanced catheter ablation techniques used to treat persistent atrial fibrillation include additional ablation lines along the roof of the left atrium or along the septum, which is the tissue that divides the left and right sides of the heart. Doctors may also ablate complex fractionated atrial electrograms (CFAE, pronounced café), which are sites where there is an atypical electrical pattern. In Dr. Rostock’s study, 27% of patients were free of atrial fibrillation after a single procedure at about 2.5 years. Of note, 6% of patients needed to take antiarrhythmic drugs to remain in normal sinus rhythm. When patients had multiple procedures, the success rate improved to 79% (15% of these patients remained on antiarrhythmic drugs). Analysis showed that females and people with a longer AF cycle length were more likely to be successful after a single procedure. Those whose afib failed to terminate at the end of the initial ablation, or who had heart failure or coronary artery disease, were more likely to need a repeat procedure. These results suggest that patients with persistent or longstanding persistent afib can be optimistic for a positive outcome but should be aware that a second ablation may be needed.